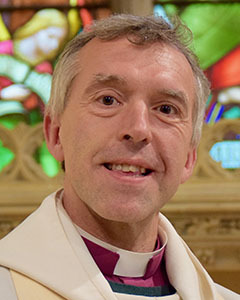 Bishop Andy grew up in Aberystwyth. He went to Ysgol Penglais and graduated in Law at the University of Wales, Cardiff, in 1986 and in Theology at the University of Nottingham in 1988. He also gained a Diploma in Pastoral Studies in 1989 at St John’s College, Nottingham. He was ordained as a deacon in 1989 and as priest in the Diocese of St Davids in 1990 and served all his ordained ministry until his election as Bishop of Bangor within that Diocese. He was a curate in Cardigan, Y Ferwg and Mwnt from 1989 to 1991 and also in Aberystwyth from 1991-1992. He then served as vicar in the Rectorial Benefice of Aberystwyth from 1992 to 1999. Andy was appointed to the parish of Henfynyw with Aberaeron and Llanddewi Aberarth in 1999 – a parish which expanded in 2005 to include Llanbadarn Trefeglwys. He was appointed vicar of Pencarreg with Cwman and Llanycrwys and Archdeacon of Cardigan in 2006. 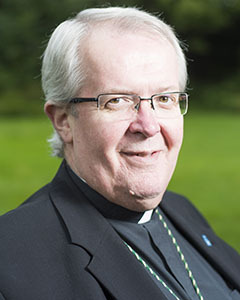 He was elected Bishop of Bangor in 2008. As Archdeacon of Cardigan he wrote the Evangelism Course ‘Menter’ and jointly produced the accompanying DVD under the same title. As Bishop of Bangor, Andy holds the portfolio responsibilities for evangelism, church growth, the Welsh language (he speaks Welsh) and stewardship. He served on the St Padarn’s Council until June 2017. Bishop Andy enjoys running, staying reasonably fit, playing the saxophone and the guitar. He and his wife Caroline have four children. Gregory Kenneth Cameron was born and brought up in south east Wales. After making a commitment of faith as a teenager, he started attending his local village Anglican Church. He was educated in Croesyceiliog Comprehensive School in Cwmbran, and while reading Law at Oxford University, discerned a vocation to the ordained ministry. On being accepted as an ordinand of the Church in Wales, Gregory studied Theology and Religious Studies in Cambridge. After studying at St Michael’s College, Llandaff, Gregory was ordained into the Diocese of Monmouth, serving for the next six years in parishes in the diocese. He later served as a school chaplain (Wycliffe College, Stonehouse) and as director of an educational charity (The Bloxham Project). In 2000, Rowan Williams, then Archbishop of Wales, appointed Gregory as his Chaplain. In 2003, the Secretary General of the Anglican Communion appointed Gregory as Director of Ecumenical Affairs at the Anglican Communion Office in London, and he became Deputy Secretary General a year later. 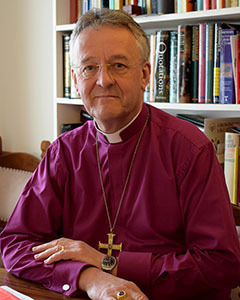 In this role, Gregory was involved deeply in Anglican Communion affairs and in all the ecumenical dialogues of the Anglican Communion at international level.  Gregory holds Masters degrees in Jurisprudence, Theology and Canon Law, and an honorary Doctorate of Divinity from the Episcopal Divinity School in Massachusetts. He has lectured in Old Testament at St Michael’s College, Llandaff, and as an Honorary Research Fellow in Canon Law at the Centre for Law and Religion in Cardiff University. He is currently Co-Chair of the Anglican Oriental Orthodox International Commission. 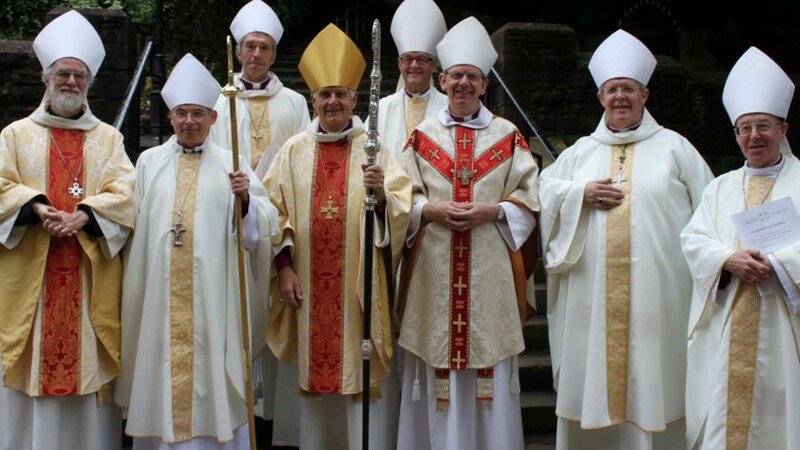 He was elected Bishop of St Asaph in 2009, a diocese which covers north-east and part of central Wales. He has served as lead bishop on education, church liturgy and ecumenism and interfaith relations and has worked closely with other organisations to support homeless people and refugees. In 2016 Gregory also established the UK’s first LGBTQIA Chaplaincy. Gregory is married to Clare, a teacher of music, and they have three sons. He has a wide range of interests outside ministry and enjoys calligraphy, reading, and film – particularly science fiction. He has gained recognition as a coin designer in his spare time, creating three designs for the Royal Mint. 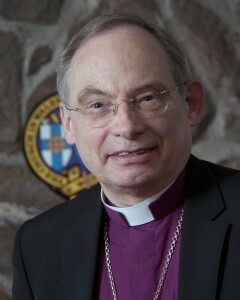 Richard Pain was elected Bishop of Monmouth having served as Archdeacon of Monmouth for five years. He has served in the diocese for more than 30 years – as Vicar in Monmouth for 10 years and also vicar in Risca, Six Bells and Cwmtillery and as a curate in Caldicot. Richard graduated from Bristol University and University of Wales, Cardiff, and trained for ministry at St Michael’s College, Llandaff. He has held a number of diocesan and provincial appointments with a particular interest in ministry – the selection and training of clergy and other church leaders. He has been Warden of Ordinands for Monmouth Diocese, Chairman of the Provincial Selection Board and a member of the Church’s Governing Body. Richard holds the portfolio for ministry matters in the Province and is chair of St Padarn’s Institute. He also advocates the development of new monastic communities as places of mission and formation for young Christians. He acts as episcopal visitor for the Holywell Community and the Community of St Thomas, both situated in the Diocese. Richard is passionate about discipleship and the development of nurture groups as a tool for whole-life evangelism. Richard is married to Julie and the couple have two sons. He is a keen amateur photographer and plays the classical guitar. Joanna Penberthy was born in Swansea and grew up in Cardiff. She was educated at Cardiff High School and graduated from Newnham College, Cambridge. She trained for the ministry St John’s College, Nottingham and Cranmer Hall, Durham. She was made a deaconess in 1984, ordained as a Deacon in 1987 and was among the first women ordained as priests in Wales in 1997. Bishop Joanna has served in the dioceses of Durham, Llandaff, St Asaph and St Davids and was also the Provincial officer for Parish Development and Renewal for five years. In 2007 she was appointed a Canon at St Davids Cathedral. 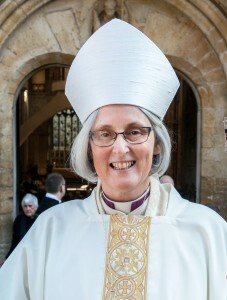 She left Wales in 2010 to serve in the Diocese of Bath and Wells but returned in 2015 as Rector of Glan Ithon, in the Diocese of Swansea and Brecon, based in Llandrindod Wells. She was elected Bishop of St Davids in November 2016 and consecrated in January 2017, becoming the first female bishop in the Church in Wales. Bishop Joanna is married to the Revd Adrian Legg and they have four grown-up children and one grandchild. Her interests include quantum physics, reading and bird-watching. A ground-breaking figure in the Church of England, June Osborne was the first female Dean to be appointed to a medieval cathedral, having served as Salisbury Cathedral’s Canon Treasurer for nearly 10 years. 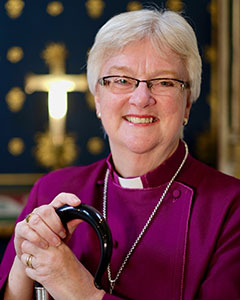 She was active in the national life of the Church of England, serving for many years on General Synod’s Standing Committee, including sitting on the Panel of Chairs.